The Chamber seeks to foster a safe and welcoming environment for business and citizens to maintain an ambience and high quality of life, and thereby increase our competitive advantage. The Chamber seeks to advocate and influence regional and municipal policies that foster a more economically healthy and vibrant Capital Region. We focus on leveraging the region’s abundant energy and innovative spirit to sustain economic growth while marketing the region’s competitive advantages, positive business climate and superior lifestyle across Canada and around the world. 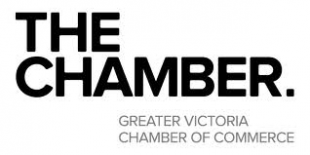 The Chamber focuses on the business perspective on issues that impact of the vitality of the business community. We represent the business voice in a regional context to the municipal governments of the Capital Region. The Chamber advocates on ongoing issues as well including the regional economic development, the redevelopment of Belleville Street Terminal, fair taxation for business, to name a few. We work with local municipalities in order to achieve the goals of Our Vibrant Community campaign that highlights the pillars of good governance from both a municipal and provincial standpoint.